The smile and coo of a child who has finally calmed down. The appreciative glance from a parent in the NICU. The cacophony of Sunday mornings with her own three children. These are just some reasons Jessie Loeb knew she was meant to work with babies. As a postpartum doula, Jessie gets to use those skills and compassion to help families after childbirth. Jessie began working with parents and children at age 16 as a counselor and then administrative staff at Camp Interlaken JCC. She went on to receive undergraduate and graduate degrees in English education and holds a Wisconsin State License to teach sixth to twelfth grade. As a caretaker, mentor, nanny, teacher and mom, Jessie has provided nurturing and supportive services to both the young and old. But her life-changing experiences in the Unity Point Health Meriter NICU spurred her desire to formalize her role as a certified and trained postpartum doula through Prodoula's professional and thorough certification program. 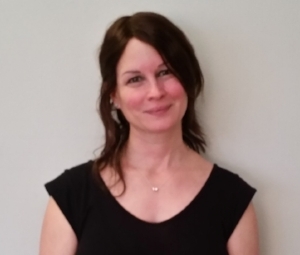 Jessie Loeb also works with the Madison Metropolitan School District as their Parenting, Childbirth and Adult Roles Educator at Sapar School, Innovative and Alternative Program. Jessie is located in Madison, Wisconsin. Get in touch today to find out more!